2018 was a record breaking year for Link Properties Group. 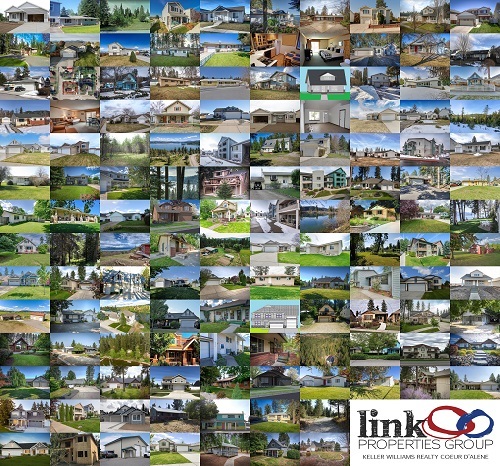 We have been able to help over 135 families reach their real estate goals this year at about $40 million in sales volume – WOW! We couldn’t have achieved this huge milestone without the support of our community, friends, and family! Thank you for your business and for recommending us to your friends and family. We are a local business that relies on word of mouth and are honored that we can serve our community. It was a busy year for our team: It was our first full year since joining forces with Jerry Manes as our listing partner – it’s been an honor to be in business with someone who has a strong focus on relationships and customer service! Danette Manes joined our team as our Listing Coordinator & Client Concierge (if you have bought or sold with us recently she has probably checked in with you a few times to ensure you have a low-stress real estate experience). We are proud to have welcomed two new Buyer Specialists to the team: Nick Link and Michael Williams. Both of these guys will turn over every stone searching for your next real estate purchase! When they aren’t showing houses, you’ll find them hosting open houses and knocking on doors to find their clients their dream home. Our very own Karen Lorbecki had an amazing year- she went above and beyond as our Buyer Specialist and sold 50 homes at a volume of $14,500,000! All while providing top-notch service. She throws one heck of a team Christmas party, too. There was much more to celebrate this year for our team: Elyse, our Executive Assistant, added to her family with the birth of a baby boy this past June. And Elizabeth, our Transaction Coordinator, recently announced her engagement with plans to get married this Spring! It’s definitely been a year full of celebrations that balanced the challenges! We also had some fun events, including a client appreciation movie night at the Hayden Discount Theater, a flower giveaway for Mother’s Day, and a cinnamon roll giveaway for Thanksgiving, featuring cinnamon rolls from local bakery Doughlicious! If you missed any of these events, email Elyse at kwoffice12@gmail.com to make sure she has your most up to date contact information! We hope that your 2018 had some celebrations as well and that you have a happy and healthy 2019. We are looking forward to serving our community even more in 2019. Stay tuned for some big things to come!